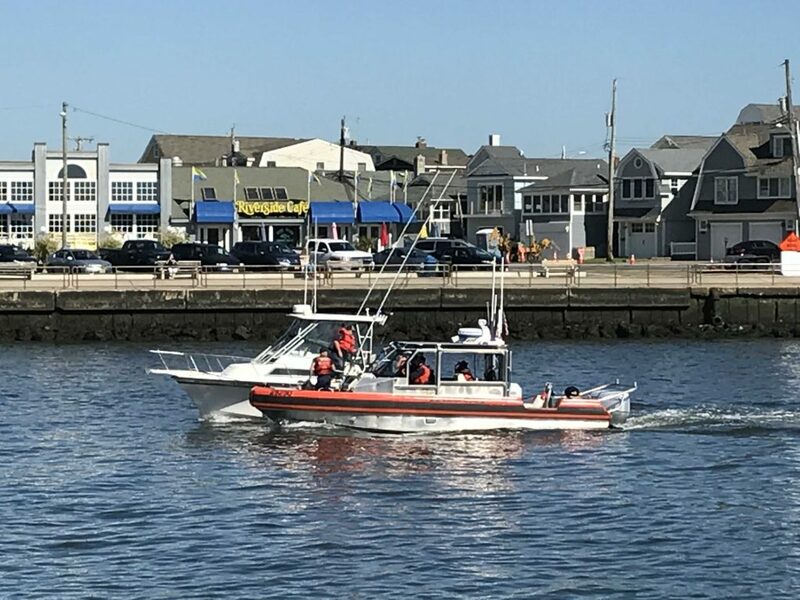 The Coast Guard sent a post-holiday-weekend reminder to anglers on Monday: don’t fish for striped bass beyond the three-mile mark in the ocean, or face a fine. The USCG’s fifth district, which covers New Jersey, told reporters Monday that they are urging anglers to heed the limit – and most importantly, get educated about it. “Some anglers might not know this, but between three to 200 miles offshore, in an area called the Exclusive Economic Zone, or EEZ, there is a regulation in place to protect striped bass, to allow them to grow and prevent overfishing” said Lt. Matthew Kahley, an officer who deals with fisheries enforcement at Coast Guard Sector Delaware Bay in Philadelphia. The water between the beach and the three mile limit falls under the jurisdiction of state fisheries managers. In New Jersey, the legal limit on striped bass in this are one fish, per angler, per day larger than 28 inches, and one fish larger than 43 inches. The regulations were put in place after striped bass populations struggled under fishing pressure. Commercial fishing for striped bass in New Jersey remains illegal even within the three mile zone. The best way to remain in the limit is to mark the distance on nautical charts – whether the old paper version or a modern version on a GPS-enabled chartplotter computer that most anglers install in their boats’ dashboards. The fine for fishing beyond the three mile limit is $500 per fish.